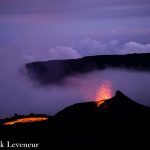 le chaudron de vulcain – August 08 , 2017. EN. Piton de la Fournaise , Fuego , Bogoslof , Bulusan . Home / Alaska / August 08 , 2017. EN. Piton de la Fournaise , Fuego , Bogoslof , Bulusan . Activity Report of Monday, August 7, 2017 at 3:30 pm (local time). 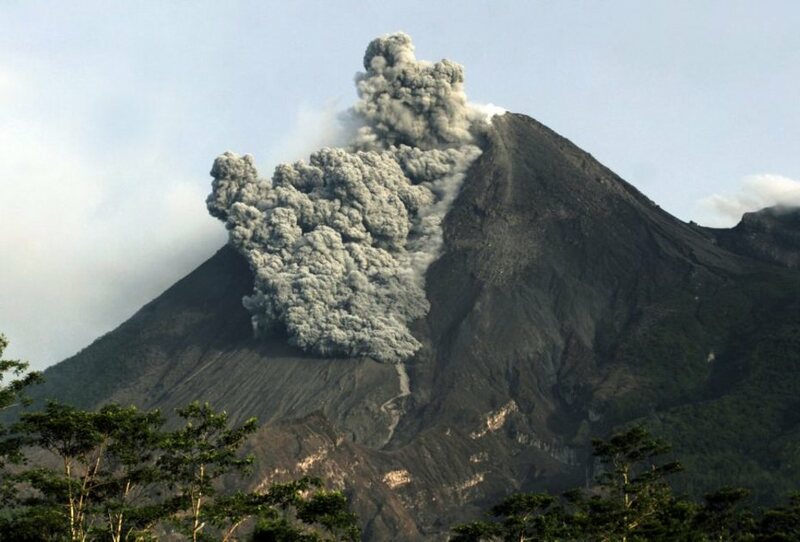 The eruption begun on July 14 at 00:50 local time continues. The volcanic tremor (indicator of surface eruptive intensity) continues to decline very gradually (Figure 1). 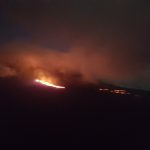 In the field, small projections are visible again at the small mouth which remained active on the northern flank of the eruptive vent. The rest of the activity is done in tunnels of lava, with some resurgences of small spatial extension visible on the surface. 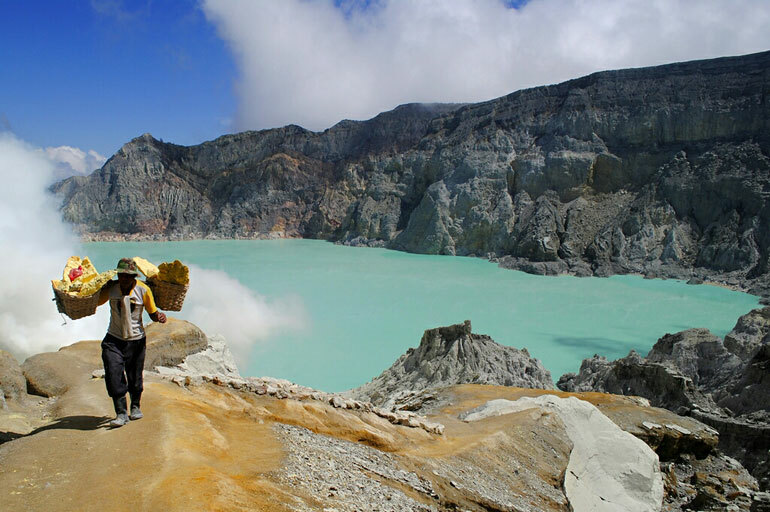 – A volcano-tectonic earthquake was recorded under the summit craters during yesterday’s day. 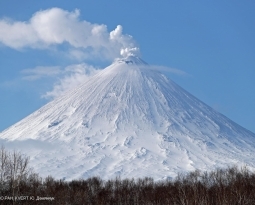 – A slight inflation (swelling) of the summit area of the volcano is always observed. Estimates based on satellite imagery via the HOTVOLC platform (OPGC – Clermont Ferrand) show a minimum flow rate of less than 1 m3 / s.
Geographical location: 14 ° 28’54 « Latitude N; 90 ° 52’54˝ Longitude W.
The Observatory of the Fuego volcano, OVFGO, has recorded an increase in the explosive activity of the volcano in the last few hours, as can be seen on the seismogram of the FG3 station. It indicates explosions with weak to moderate characteristics, which generate columns of ash that reach a height of about 4,500 m (14,764 feet). It travels more than 10 kilometers to the west and southwest. The lava flow to the Ceniza canyon persists and fine materials are observed in the Santa Teresa canyon due to the possible formation of a lava flow in this direction. Falls of volcanic materials of different sizes (ballistics) more than 150 meters above the crater and reaching a distance of 200 meters are noted. 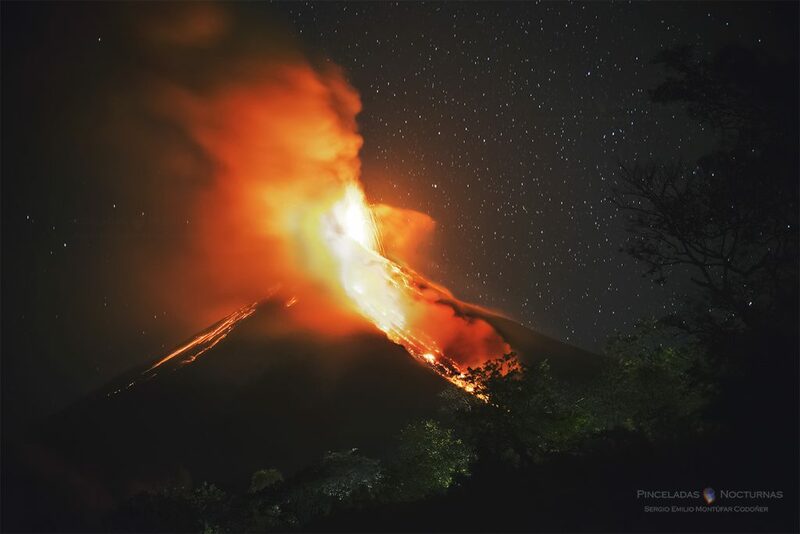 The explosions are accompanied by weak and moderate rumblings which give rise to moderate to strong shock waves, causing vibrations in the roofs of the homes of communities near the volcano. 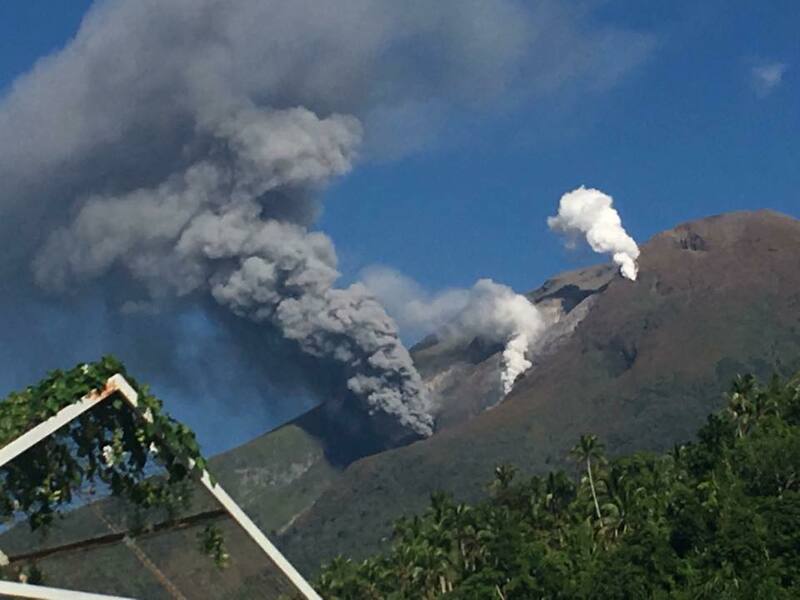 According to the observations of the seismic activity, the energy of the explosions is maintained, with the possibility that, within the next few hours, lava flows will be generated and a new eruptive phase will develop. Issued: August 07 , 2017. A significant explosive eruption began at Bogoslof volcano at about 18:00 UTC (10:00 AKDT) on August 7 and is continuing. 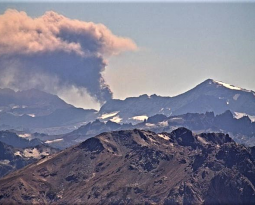 A pilot report at 18:45 UTC indicates that the ash cloud had reached 32,000 ft asl. Thus, AVO is raising the Aviation Color Code to RED and Alert level to WARNING for Bogoslof volcano. Winds are currently to the south. Seismic and infrasound data suggest that the ash emissions are continuing. The SIGMET warning message for aviation, issued by the National Weather Service Alaska Aviation Weather Unit, currently is in effect up to 32,000 ft above sea level. BULUSAN VOLCANO BULLETIN 07 August 2017 8:00 A.M.
Bulusan Volcano’s seismic monitoring network recorded seven (7) volcanic earthquakes during the past 24 hours. Degassing at the active vents could not be observed due to thick clouds covering the summit. Sulfur dioxide (SO2) emission was measured at an average of 88 tonnes/day on July 31, 2017. Precise leveling data obtained on June 14 – 23, 2017 indicated inflationary changes relative to February 2017. Meanwhile, continuous GPS measurements indicated short-term deflation of the edifice since January 2017. In general, the edifice remains inflated with respect to July 2016 based on continuous GPS data. 09/08/2017. FR. Piton de la Fournaise , Bogoslof , Sheveluch , Sabancaya , Fuego .